‘He turned round to the fire, gave a kick to a log, watched it an instant.’ – Douglas is, of course, stoking his audience’s anticipation (as, of course, is James himself at one remove). His kicking of the log – a somewhat dangerous and unnecessary thing to do assuming there is a fire-iron to hand – would cause it to suddenly burst into flame, and this represent his intention of ‘turning the screw’ with respect to his listeners. ‘ “It’s in a locked drawer – it has not been out for years. […]”’ – Douglas has presumably stored away the story for safe-keeping, but the implication behind ‘a locked drawer’ is that there is something peculiarly dangerous about this tale. Naturally, this could all be theatrics, designed to increase his audience’s anticipation. All this is, of course, make-believe – a published novella by Henry James – but the device of a story-within-a-story, and a story-teller as well, helps to create the illusion of something real. ‘he could send down the packet as he finds it’ – James is associating his fiction with an imagined real document. This is very much the technique of producers and directors of modern ‘found footage’ horror movies, but its roots can be found in the epistolary novels of the eighteenth and nineteenth centuries. Bram Stoker’s Dracula is a famous example. ‘He had broken a thickness of ice, the formation of many a winter’ – The image is of discovering something hidden beneath the ice of a permanently frozen pool, or perhaps of drinking of the pure spring still active beneath. Douglas has – or is pretending to have – ‘grown cold’ to this forgotten tale over many years, and it is, apparently, a wrench to have to face its horrors again. It is precisely these ‘scruples’ that the first narrator finds charming. ‘ “[…] I took that HERE” – he tapped his heart. “I’ve never lost it.”’ – Douglas’ emphasises the power of the story by telling the narrator how it has never left him, despite it being many years old. ‘He hung fire again.’ – The audience is made to wait for every snippet of information. The term to ‘hang fire’ referred originally to shooting a musket: sometimes the priming powder would ignite, but fail to set off the main charge. The musket was then ‘hanging fire’ until the charge exploded: a good image for Douglas’ constant ‘turns of the screw’. ‘and of course there was somebody to be arch, or at any rate to draw the inference’ – that Douglas and the woman had been lovers. To be ‘arch’ is to be mischievous. ‘I was at Trinity’ – The reader can choose between Hartford, Connecticut, Dublin, Cambridge or Oxford, all of which have famous Trinity Colleges. 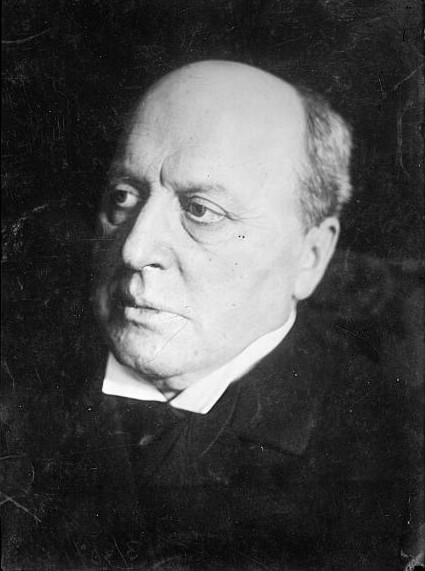 Although Henry James was American by birth, he spent most of his life in Britain, so the last two are the most likely (and that we are in England is later confirmed).